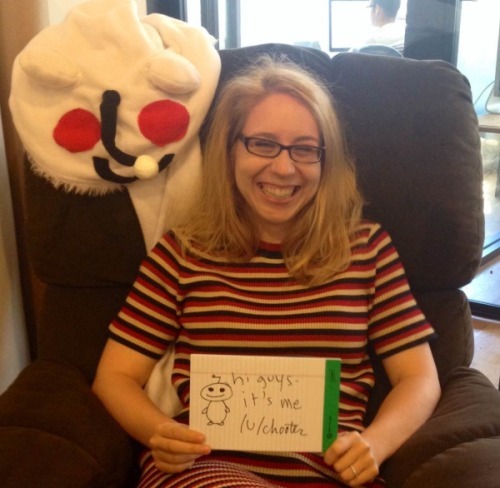 Reddit in revolt: Why was popular director Victoria Taylor fired? Victoria Taylor is not someone who many people will have heard about prior to Thursday 2 July, yet she has worked closely with everyone from Barack Obama and Bill Murray to Snoop Dogg, along with hundreds of others, as part of her job at the so-called "front page of the internet" Reddit. In the space of 24 hours anyone reading Reddit (and tens of millions do on a daily basis) would have known Taylor's name, as Redditors posted links, pictures and memes about the company's hugely popular ex-director of talent, who was fired on 2 July. Moderators reacted angrily to the lack of communication about the news and this led to a widespread blackout of hundreds of popular subreddits, which in turn prompted Reddit co-founder Alexis Ohanian to apologise and urge moderators to get the site fully back online again. Taylor's job was to co-ordinate the site's massively popular Ask Me Anything (AMA) series, which sees celebrities, politicians, men with two penises and pretty much anyone of interest go online and answer questions from the Reddit community. Taylor's work was to connect the people answering the questions with the moderators of the /r/IAmA subreddit, where the questions and answers appeared. This included verifying the person's identity and making sure that it was not an assistant answering the questions in their place. Redditor Karmanuat, who broke the news of the firing, said Victoria "shut that sh*t down immediately". Ever since Taylor's departure from Reddit was revealed, moderators and Redditors have been left wondering why one of the only Reddit admins (paid members of Reddit staff) who was universally well-liked by moderators and users in general had been fired. Reddit has said that it does not "talk about specific employees" and a statement by CEO Ellen Pao simply said the company would "figure this out and fix it". Pao has come in for a lot of criticism lately and a petition for her to step down as CEO has received more than 30,000 signatures, most of which have come in the last 12 hours. Thank you to everyone for their good wishes and support. Love you guys. So it is left to the internet to speculate, and if there is one thing the internet is good at, it is speculation. Here, in the order I think are the most plausible, are three of the most popular (read: least libellous) reasons for Taylor's firing. According to her LinkedIn profile (which still says she works at Reddit), Taylor's location is the Greater New York City Area. This could be the key issue that may have led to her leaving Reddit. According to a VentureBeat report from October, only days after Reddit had raised $50m (£32m) in investments it made it mandatory for all employees to work from its San Francisco headquarters. This speculation is something that the moderators at Reddit are giving credence to, as a leaked chat between moderators in the wake of Taylor's firing suggests her unwillingness to leave New York was the reason behind her departure. The private chat, which was posted to text-sharing website Pastebin, stretches over 4,000 lines, but shows that the main thesis for the firing is an inability to relocate. The moderators universally speak of enjoying working with Taylor and voice their anger at the lack of notice given of the move. The leaked chat log makes reference to issues Taylor had with Reddit CEO Ellen Pao, and on Q&A website Quora one user has suggested this and clashes with Reddit's commercial arm were the main reason behind the shock firing. The post was published by Marc Bodnick, a Quora employee, but has since been removed. Luckily a eagle-eyed Redditor screengrabbed the post and linked to it here. In the post, which is in response to a question about why Taylor left, Bodnick says he has spoken to someone at Reddit about the situation who detailed the reasons for Taylor's departure. The main issue was the commercialisation of AMAs, which Taylor was not happy about and felt they were not good for the Reddit community as a whole. One of the examples of this was an idea for video AMAs Taylor thought was a bad idea. Bodnick claims in the post that Taylor was "abruptly" let go due to her resistance to management's ideas and that no moderators were informed. Pao seemed to indicate however that commercial pressure was not the problem in a post on Reddit. Bodnick makes reference to the Reverend Jesse Jackson AMA at the end of his post, saying this was not a reason for Taylor's firing – but some (mostly on Reddit funnily enough) suggest otherwise. The AMA in question, which took place just two days before Taylor's firing was revealed, was widely regarded to be nothing short of a disaster. When the top question on the AMA calls the person answering questions "an immoral, hate-filled race baiter that has figured out how to manipulate the political system for your own gain", you know you are in trouble. As well as hatred coming from those asking questions, Jackson did not help himself by failing to answer the questions he was asked, leading some to question his ability to read. For those of you who would like to relive the car crash, here is the entire Jesse Jackson AMA from the Way Back Machine. However the suggestion that this was the reason for Taylor's firing does seem tenuous at best, and outright ridiculous in reality. We are unlikely to find out the real reason behind Taylor's departure until she decides to speak about it – if she ever does. We can count however on the continuing speculation regarding the sudden departure, with that speculation only likely to get even more crazy and involve goats, aliens and of course, The Illuminati.